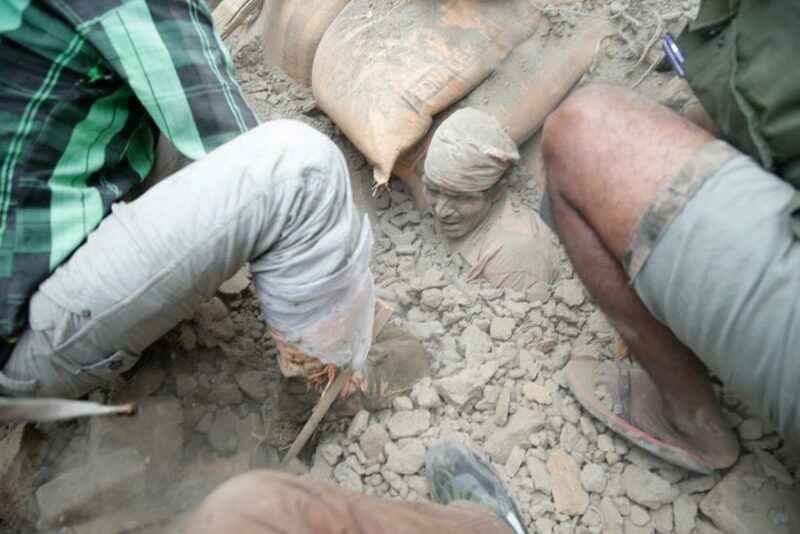 Nepal was devastated by a magnitude 7.8 earthquake on Saturday, which originated outside the capital Kathmandu and has been followed by a series of powerful aftershocks. More than 4,000 people have been killed by the disaster. Saturday’s quake was many times more powerful than the 7.0 quake that ruined Haiti in 2010. Nepal’s worst recorded earthquake in 1934 measured 8.0 and all but destroyed much of the country’s large cities. The devastating 7.8 magnitude earthquake that violently shook Nepal on Saturday left more than human casualties in its wake. The country also saw a number of its iconic UNESCO World Heritage sites and most popular tourist attractions — some dating more than 1,700 years — reduced to piles of rubble. Among the well-known Kathmandu landmarks destroyed by the quake was the 100-foot Dharahara Tower, which was cut down to a 30-foot pile of jagged brick, according to Reuters. Open to visitors for the past decade, as many as 200 people were inside the nine-story tower when it toppled, a police officer told Reuters. The Kathmandu Valley includes seven groups of monuments that showcase a range of religious and artistic Hindu and Buddhist traditions that have made the area world famous, according UNESCO. Among the most well-known are tiered temples made of fired brick and timber. Kathmandu’s three ‘Durbar Squares’ the courtyards outside the city’s old royal palaces, were devastated by the earthquake, with historic temples razed to the ground by the shocks. In the largest, known as the Kathmandu Durbar Square, rubble was piled up today after a large stepped temple was obliterated in the quake. Images of the Durbar Squares in Patan and Bhaktapur, on the outskirts of Kathmandu, were also devastated by the shocks. The streets of Bhaktapur were impassable because of the rubble which lay several feet deep, with fragments of religious sculptures among the stonework on the ground. 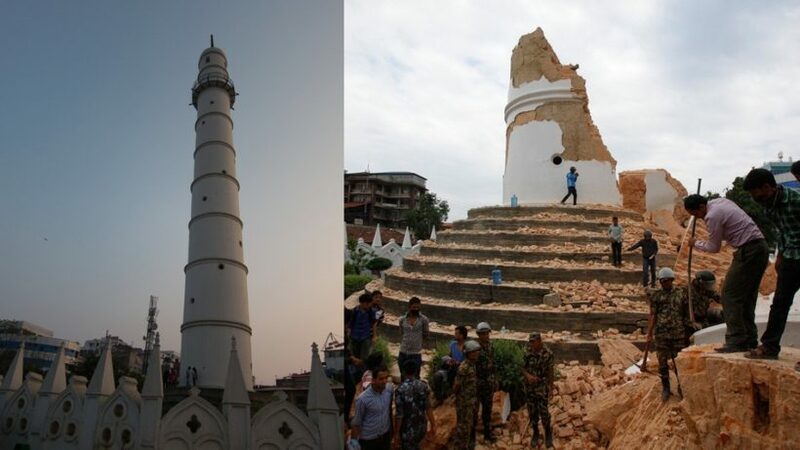 In Patan, a temple had its tower broken in half, while the square was strewn with bricks. In the hours after the quake, rescuers picked through the rubble of historic structures around the region, including ancient wooden Hindu temples, according to Reuters. 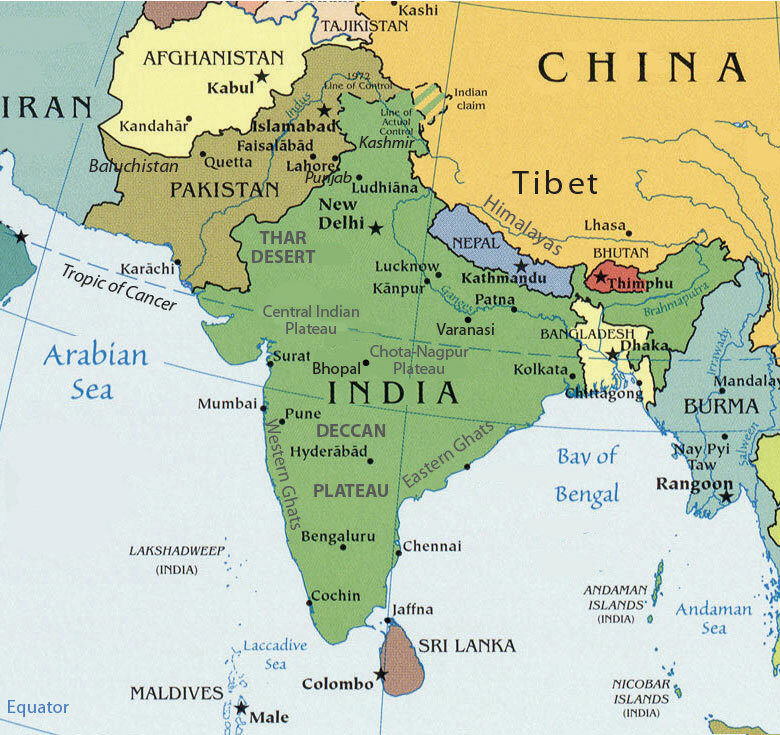 Nepal is famous as the world’s only Hindu Kingdom. Pictured as she was rescued from a stricken boat off the Greek island of Rhodes, the terrified face of Wegasi Nebiat last week became the symbol of Europe’s migration crisis. The tiny Horn of Africa nation, which won independence in 1993 after a 30-year civil war with Ethiopia, is run as a one-party state by former guerrilla leader Isaias Afwerki and his cronies. Thousands of political prisoners languish in jail, no elections have been held in 20 years, and like Kim Jong-un’s hermit regime in Pyongyang, the country is off limits to foreign media and human rights groups. 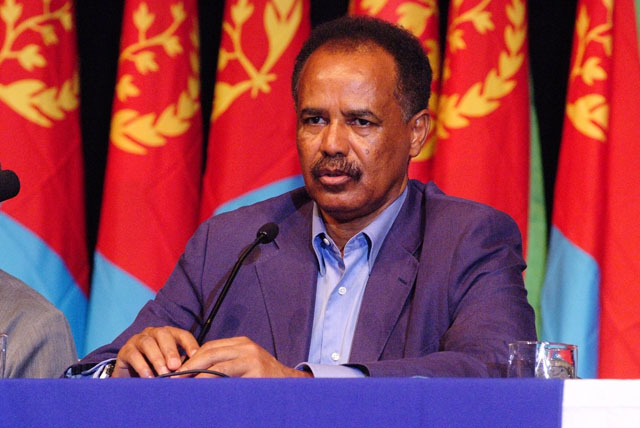 However, one thing that Eritrea’s closed, secretive government cannot hide is how its population of just six million is now among the biggest customers of the people traffickers of the Mediterranean. The UN High Commissioner for Refugees says that of the 200,000 migrants who made the crossing last year, some 18 per cent, or nearly one in five, were Eritreans like Ms Nebiat. Only refugees from Syria, with its brutal civil war, made up more at 31 per cent. So why has Eritrea become the place where no-one wants to live? Unlike the Somalis, Nigerians, and Afghans with whom they often share their people smuggling boats, the Eritreans are not fleeing civil war or Islamic terrorism, or even particularly abject poverty. Indeed, many in the West would struggle to even find Eritrea on a map, never mind put it on a list of pariah states. As with many of the world’s current conflicts, the story has its roots in borders drafted by Europeans a century ago, when Italy annexed Eritrea from the rest of Ethiopia during the colonial “Scramble for Africa.” The move deprived landlocked Ethiopia of its only port on the Red Sea, and when Addis Ababa sought to regain it in the post-war era, the ensuing conflict claimed around 200,000 lives. However, while Eritrea emerged triumphant from the David and Goliath conflict, yesterday’s freedom fighters have become today’s despots. Like Robert Mugabe of Zimbabwe and Libya’s late Colonel Gaddafi, Mr Afwerki is accused of turning the country into a giant prison. The main reason for people fleeing, however, is Eritrea’s draconian military service program. Officially, it exists in the event of a resumption of the war again with Ethiopia, which did flare up again between 1998 and 2000 with the loss of 70,000 lives. But as in North Korea, it has become an excuse to keep the country’s menfolk in conditions of near-indefinite vassalage. Recruits speak of being forced to work in gold mines, with military service lasting up to ten years or more, and harsh penalties for deserters. Such is the exodus from Eritrea that even the Afwerki government now seems to be softening its line, apparently anxious about the “brain drain” effect of losing so many of its young people. Following the visit of a British government delegation that visited to the country last December, current Home Office thinking is that Eritreans who flee the country illegally – including deserters – are no longer automatically treated as “traitors”if they return. That, though, has not stopped the current flow of people, and with ever larger foreign diasporas – an estimated 40,000 now live in London alone – the “pull” factor of Europe is likely to remain. Estonia has recruited a “ponytail army” of volunteer computer experts who stand ready to defend the nation against cyber attack. The country’s reserve force, the Estonian Defense League, has a Cyber Unit consisting of hundreds of civilian volunteers, including teachers, lawyers and economists. The Baltic nation of 1.3 million people is one of the most technologically advanced in the world: almost every banking transaction takes place online and 30 per cent of all votes in the last general election were cast electronically. But this also makes Estonia acutely vulnerable. In 2007, the country suffered one of the biggest cyber attacks in history when the websites of banks, government ministries and the national parliament were swamped with data. Responsibility for this assault was never established, but the finger of suspicion pointed towards neighbouring Russia. The trigger for the event was a controversial decision to relocate a Soviet war memorial in the Estonian capital, Tallinn. If an emergency of this kind were to recur, Estonia’s cyber defenders would be mobilised. “We call them guys with ponytails – but we don’t all have ponytails,” said Tanel Tetlov, a 33-year-old volunteer member of the Cyber Unit. The methods of cyber warfare are constantly changing. One common form of attack is a “distributed denial of service”– known as a “D-DOS” – whereby a server is jammed with cascades of data. This can paralyze vital websites, including those handling financial transactions. Most of the cyber assaults on Estonia in 2007 fell into this category. Today, “D-DOS” incidents are regarded as one of the less sophisticated forms of attack. Criminal gangs or even individuals are capable of launching them. Thwarting a cyber attack of this kind starts with identifying where the flood of data is coming from. Once that has been established, the relevant network can be isolated. Estonia’s Cyber Unit has a permanent staff of just three people, based in a building in Tallinn once used by Soviet Signals Intelligence. In his office, Andrus Padar, the commander of the unit, organizes volunteers and monitors the continuous round of cyber attacks across the world. One website tracks these events in real time, identifying – so far as possible – the origins and targets of the assaults. The same countries tend to appear: America, Russia, China and Saudi Arabia. Cyber warfare gives hostile states the ability to damage their foes covertly and deniably. A full scale offensive might destroy power systems, paralyse financial transactions and freeze essential services – all without the culprit being known. The exact number of volunteers who would try to save Estonia from this fate is classified, but Mr Padar said that about 1 per cent of all the country’s information technology experts had joined the Cyber Unit. Obviously, the most important part of this tragic earthquake is the loss of life and the injured victims. It is such a big news story that we are focusing on an aspect that you might have missed in the news reports which, rightly so, are focused on the people affected. b) Read the “Background” on religion in Nepal. Which are the two major religions practiced in Nepal? c) How were the iconic landmarks of these religions impacted by this major earthquake? b) What is the Horn of Africa? List the countries that make up the Horn of Africa. c) How many Eritreans have fled the country? What percent of the population is this number? Why is this number significant? d) For what reasons have so many Eritreans risked such a dangerous journey to Europe? e) Do you think the U.N. is effective in addressing this humanitarian crisis? Explain your answer. 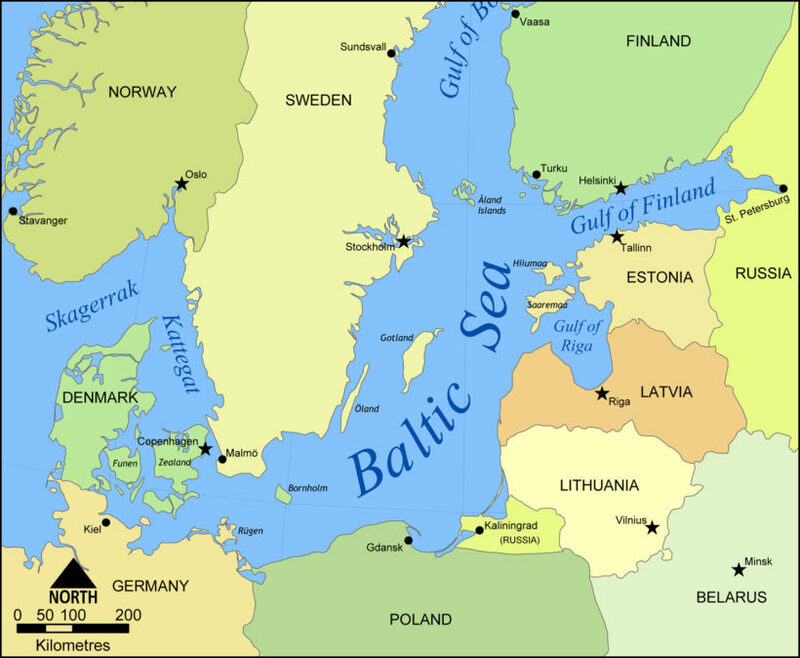 b) Where are the Baltic states? List the countries that make up the Baltic states. c) What is the Estonian Defense League’s Cyber Unit? d) What challenges do they face in protecting the country from cyber attacks? e) What is your reaction to this attempt to protect the country from cyber attacks? (admiration, skepticism, etc.) Explain your answer. The overwhelming majority of the Nepalese population follows Hinduism. Shiva is regarded as the guardian deity of the country. Shiva is one of the main deities of Hinduism. He is the supreme god within Shaivism, one of the three most influential denominations in contemporary Hinduism. Nepal is home to the famous Lord Shiva temple, the Pashupatinath Temple, where Hindus from all over the world come for pilgrimage. Lumbini is a Buddhist pilgrimage site and UNESCO World Heritage Site site in the Kapilavastu district. Traditionally it is held to be the birthplace in about 563 B.C. of Siddhartha Gautama,…who, as the Buddha Gautama, gave birth to the Buddhist tradition. The Buddhist holy site of Lumbini is bordered by a large monastic zone, in which only monasteries can be built. All three main branches of Buddhism exist in Nepal. Buddhism is also the dominant religion of the thinly populated northern areas, which are mostly inhabited by Tibetan-related peoples, such as the Sherpa. The Buddha, born as a Hindu…. Differences between Hindus and Buddhists have been minimal in Nepal due to the cultural and historical intermingling of Hindu and Buddhist beliefs. Moreover traditionally Buddhism and Hinduism were never two distinct religions in the western sense of the word. In Nepal, the faiths share common temples and worship common deities. Most of the festivals in Nepal are Hindu. It was to flee this modern-day Sparta that Henok Tekle, 28, took his chances on a people smuggling boat across the Mediterranean back in 2002. Having slipped across the border to Sudan, Mr Tekle and some friends headed for Libya, a gruelling three-week truck journey across the Sahara. Many who attempt it die of thirst or starvation, and the sand dunes that Mr Tekle drove through were littered with skeletons. Once in Libya, Mr. Tekle and his friends paid $1,000 for passage on a people-smuggler across the Mediterranean. On the second day of the journey, a storm whipped up, and soon the boat was in pieces. The Maltese navy eventually rescued the ship, only for another shock to greet Mr. Tekle after he lodged an asylum bid in Malta. The Eritrean government had learned he and his friends were there, and pressured the Maltese to send them back, saying that as the war was over, they had nothing to fear. Eventually Mr. Tekle escaped again, taking advantage of a party held by his captors to Eritrea’s independence day. This time he went straight to a UN refugee centre in Sudan, and was resettled in Britain in 2005 under an asylum program. Since then he has made strenuous efforts to integrate, learning fluent English, holding down a job in construction, and watching the news each night to learn more about his adopted homeland. Consider watching an inspiring film “The Singing Revolution” about Estonia’s freedom from the Soviet Union. We highly recommend this movie.